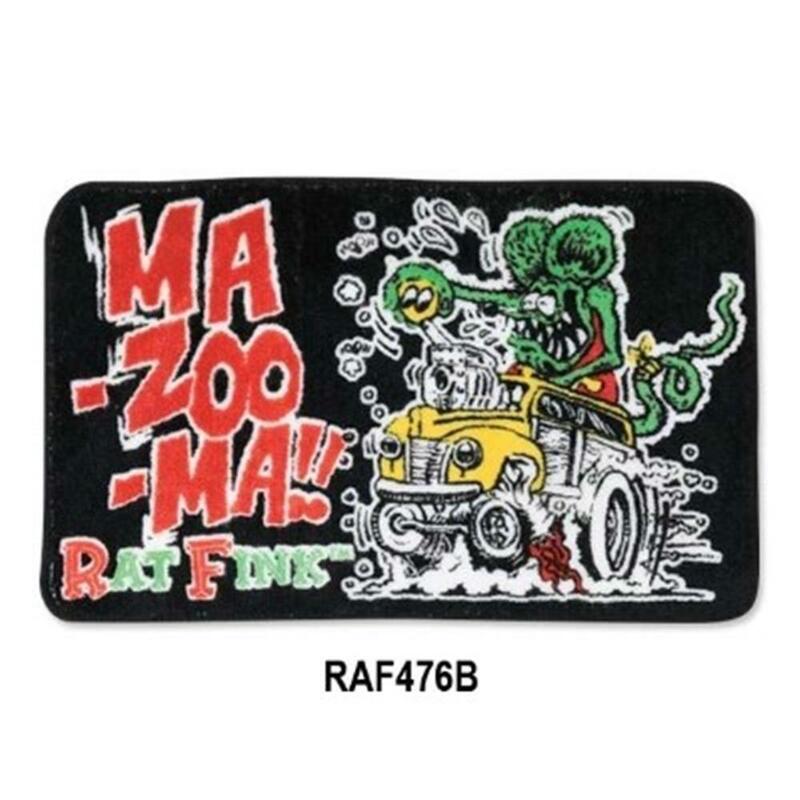 Mazooma Rat Fink Welcome Door Mat RAF476B - California Car Cover Co. Some may not find this mat all that welcoming, but those in the know sure will. Hot Rod and Kustom Kulture fans will recognize Ed Roth's Rat Fink with the Ma-Zoo-Ma exclamation and feel right at home. This rug measures 25.6" x 15.7" and is polyester on a non-slip backing.